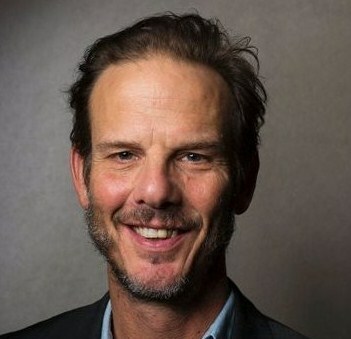 Peter Berg is an American actor, film director, producer, and writer. He directed Very Bad Things (1998), The Rundown (2003), Friday Night Lights (2004), The Kingdom (2007), Hancock (2008), Battleship (2012), and Lone Survivor (2013). The film Lone Survivor is based on the 2007 nonfiction book of the same name by Marcus Luttrell and Patrick Robinson. Set during the war in Afghanistan, Lone Survivor dramatizes the failed United States Navy SEALs counter-insurgent mission Operation Red Wings, during which a four-man SEAL reconnaissance and surveillance team was tasked to track Taliban leader Ahmad Shah. Mr. Berg also developed the television series Friday Night Lights, which was adapted from the film he directed. As an actor he is best known for his role as Dr. Billy Kronk on the CBS medical drama Chicago Hope. After graduating from The Taft School in 1980, Mr. Berg attended Macalester College in Saint Paul, Minnesota, where he majored in theater arts and theater history.